Generally the latter reaches a reflectivity between 90% and 95% (variable from supplier to supplier), and the former only around 85%. Polished sheets get blurred more easily, which means decrease in reflectivity. 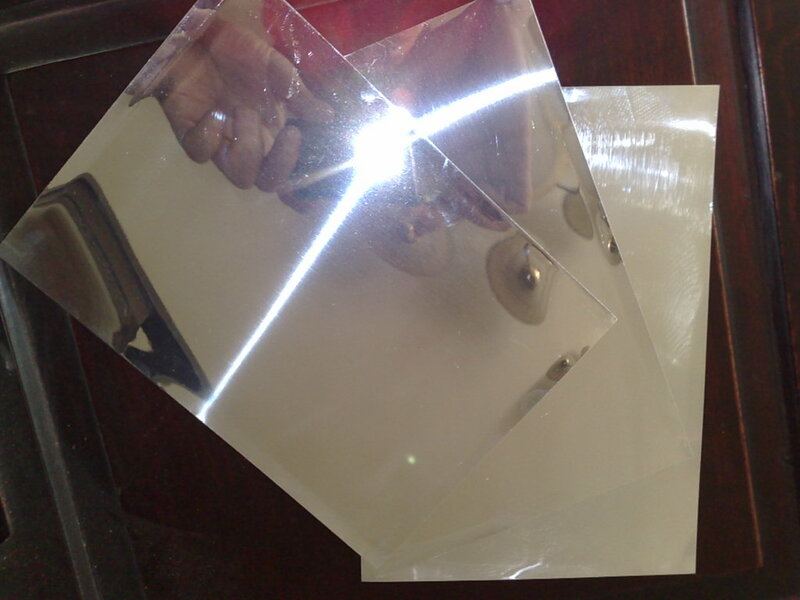 It’s said that super mirror sheets with a 99% reflectivity has been processed successfully. Considering the market demand and cost control, however, traditional sheets with common reflectivity are enough. Few people use the sheet as a real mirror, for obviously glass mirrors are cheaper and usable. In most cases aluminum mirror sheets are applied to create a decorative effect in various products like jewelry cases, labels, furniture panels, domestic appliance panels etc. As raw materials for lamp covers they do function as reflectors, but few people would care the difference of reflectivity degrees between 95% and 99% while selecting lamps.